You rely on standby and emergency power systems to deliver performance when you need it. 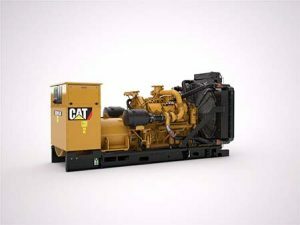 Do you know if your generator set is producing and holding the correct voltage it is rated to for your application? If not, you have no way of knowing if your crucial equipment will operate correctly, or at all. Regular load bank testing is an important part of preventative maintenance for any emergency power system. Load banking uses a self-contained power source to exercise your generator set and measure its performance against a recognized benchmark. Gregory Poole has load banks that range from 100kW – 4.8mW, suitable for testing a wide range of power equipment. By performing regular load banking, we can confirm your generator set is outputting at its rated voltage and amperage. If it isn’t delivering the performance it’s supposed to, or if we suspect there are any other issues that may impact its reliability, our trained technicians can then make any needed adjustments or repairs. Subjects engine safety shutdown systems to actual operating conditions, fully testing and confirming they are operational. Most backup power systems should be load banked to full capacity at least once a year. In addition to this, regular inspections and testing under light- or no-load conditions can be useful in identifying problems, though this alone does not provide all the benefits of a proper annual load banking. Let the service experts at Gregory Poole develop a complete maintenance schedule that keeps your backup power systems working their best. Give us a call to get started today.